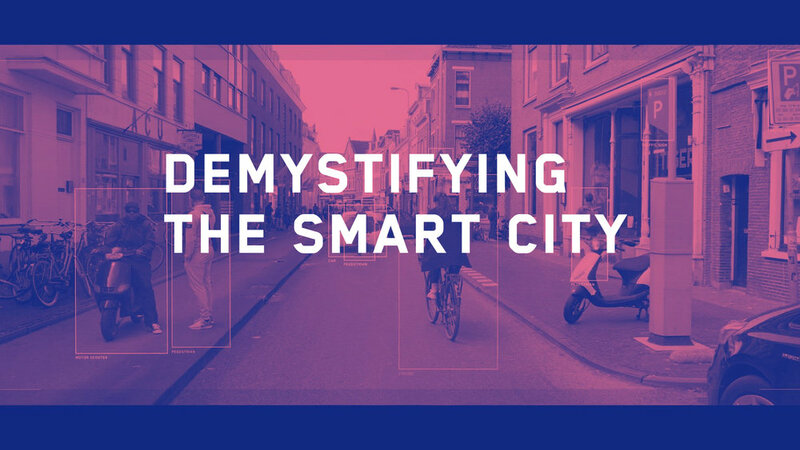 In 2018 we kicked off our research program "Demystifying the City", a theme focussed on the Smart City. Click on the events for more information. During this evening we’ll explore the unusual phenomena that blossom when language and computers meet. CCU and Sensor Lab are happy to present to you two inspiring talks by Allison Parrish (US) and Tivon Rice (US/NL) who each have developed their own approach to let machines enhance their creativity. CCU has invited New York based artist and poet Allison Parrish to give a workshop around creative writing and natural language processing. Participants will become familiar with contemporary techniques for computational language analysis; critics and researchers will be able to reason better about language-based media on the Internet. Artists and writers, meanwhile, might just learn a few new techniques to add to their creative palette. During this meet-up we will discuss: What is the current role of artists in the Smart City? How can they interact? What are artists doing to make the Smart City more tangible? This is a group about User Experience in the area of Utrecht. Ladies that UX is a global social enterprise with meetups in over 50 cities around the globe! We meet up for drinks or listen to/give presentations about UX and network with other UXers (so not only ladies, gentlemen are welcome too!). During this afternoon program with talks and performances, Creative Coding Utrecht and Uncloud invite you to delve into the artistic process of three different artists, each with a distinctive approach, that all will perform during the evening program in EKKO. During this meet-up we will try to answer questions such as: What is currently done to inform people about what happens with their data? What are the problems designers face in trying to inform people? Why aren’t we using this language yet? Creative Coding Utrecht presents a pop-up exhibition of upcoming designers and technology experts, exhibiting their latest work and projects. Looking for a tool to make quick interactive prototypes? Crazy about live-programming environments? Then this vvvvorkshop is just for you! In this edition, Tech Solidarity NL will discuss transparency in machine learning systems. As learnt in one of the earlier editions on GDPR/AVG, transparency and control on personal data are key concepts in the regulations. These might however be hard to implement. Various experts have expressed concerns about the applicabilty of these regulations to AI and about the impact of these systems on decision making. So what can we contribute as techworkers? Maaike Harbers will be joining for setting the stage with an interview and conversation. Afterwards we will discuss the topics addressed in groups and share insights, before we have some drinks. Tech Solidarity NL is a grassroots community of tech workers in the Netherlands advancing the design and development of more just and egalitarian technology. Do you want to learn more about the possibilities and applications of sensor technology? Check out our workshop 'signal to visual'. During this three hour workshop, you will have the opportunity to experiment with various sensors to measure and track (normally invisible) vital bodily functions; the heartbeat and muscle activity. The data gathered from the sensors will then be transformed into compelling, exciting visualizations using basic code. Participants are required to bring their own laptops. No previous experience or knowledge of sensor technology is required to participate in this workshop. Desired Some basic knowledge of programming (Java), Excel and experience with data visualization is helpful. For more info please check out our website. Op 25 mei 2018 moet je praktijk privacy-proof zijn. Laat je goed informeren over de AVG. Let op: deze masterclass is alleen toegankelijk voor BNO-leden! Individueel aangesloten ontwerpers kunnen één kaart bestellen en bureauleden kunnen twee kaarten reserveren. 25 mei 2018 is het zover! Op de dag dat de strengere wet- en regelgeving rond de Europese verordening gegevensbescherming (AVG) ingaat, organiseert de BNO vanwege grote belangstelling voor eerdere bijeenkomsten over dit onderwerp, een nieuwe Masterclass Privacy en Datalekken voor ontwerpers en ontwerpbureaus. De bijeenkomst vindt dit keer plaats in Utrecht. De middag wordt verzorgd door mr. Ruby Nefkens en mr. Hylke Klasens, beiden advocaat bij Van der Steenhoven Advocaten in Amsterdam. De masterclass is specifiek toegepast voor ontwerpers en ontwerpbureaus en is alleen toegankelijk voor leden van de BNO. At CCU's recurring meetup they explore new expressions made with data, code and hardware. Think of visuals, music, apps, digital design, VR, games, new instruments, literature, spatial design, datadesign, or(...). For this edition there's a €5,- entrance fee, this includes two drinks and can be paid by PIN only. A workshop by Creative Coding Utrecht. In this 2-day lab session led by Eugene Kogan & Andreas Refsgaard participants will learn how to use neural networks to create real-time, cross-modal interactions for use in video, installation, live music performance, art and design. Bring your laptop and ML projects/concept/idea and use the weekend to learn, tinker, jam, develop and experiment with neural networks in an inspiring setting full of awesome people, data and tools. The workshop will serve as a hands on introduction to machine learning with a focus on creating your own artistic and interactive applications. Participants will learn how to use neural networks to create real-time, cross-modal interactions for use in video, installation, live music performance and interaction design. Whether it’s mapping your speech patterns into video glitch effects, or converting body gestures into chord changes in electronic music, everyone will find an effect that interests them. Apart from the tools made available by Gene & Andreas, CCU also provides interested participants with data sets. We've got various data sets, made available by Het Utrechts Archief, to train your algorithm with. Gene Kogan is an artist and a programmer who is interested in generative systems, computer science, and software for creativity and self-expression.Gene initiated ml4a, a free book about machine learning for artists, activists, and citizen scientists, and regularly publishes video lectures, writings, and tutorials to facilitate a greater public understanding of the subject. Andreas Refsgaard is an interaction designer, artist and teacher from Denmark. He graduated from CIID in 2015 and started creative coding studio Støj with Lasse Korsgaard in 2017. Recently Andreas has been exploring creative applications of machine learning and spent a lot of time teaching other designers how to use machine learning for real-time interactive projects at places like CIID (DK), Hyper Island (SE), The Bartlett (UK), V2 (NL), Resonate (RS) and KIKK (BE). Our guest is De Correspondent CTO Sebastian Kersten. We will have a conversation about how to set up a technology stack for your platform which is not dependent on companies with a surveillance business model. Sebastian did just that at De Correspondent so he can speak from experience. He wrote an interesting report on the matter from which it becomes clear that an ethical stack is within reach of anyone willing and able to put in the necessary time and effort. But there are things to be mindful of, so tonight we will delve into the topic and see how we can apply these ideas in our own work. This edition we talk about how our experiences can help us grow as designers and form our own vision. The 10th edition of Creative Coding Utrecht featured presentations by Frederik-Jan de Jongh [Hototo], Marije Baalman and Barnard Smit. Tech Solidarity presented an evening discussion about the role that desginers play in (digital) privacy and what that will mean for the future. BNO Utrecht hosts its meet-up for the design community once every two months. As always, this edition will feature inspiring lectures from home grown talent. We're officially open! Thank you all for your overwhelming support at our opening event and bringing the smart technology community together. We're excited to see all you back in Sensor Lab again, to experiment, visit one of our events or participate in a workshop. BNO Utrecht hosts its monthly meet-up for the design community. As always, this edition will feature inspiring lectures from home grown talent. Dr Mirko Tobias Schäfer and Dr Karin van Es of the Utrecht Data School, a research branch of the University of Utrecht, are launching the research hub 'Datafied Society' and celebrating the paperback publication of their edited volume 'The Datified Society'. José van Dijck, the president of Koninklijke Nederlandse Akademie van Wetenschappen (KNAW), and Helen Kennedy, Professor of Digital Society at the University of Sheffield, will be present to officiate the launch. The Economic Board Utrecht (EBU) hosts this intriguing seminar focused on the smart city. The seminar is initiated by Heerd Jan Hoogeveen of the EBU, Marleen Stikker of the Waag Society and Gert Franke of CLEVER°FRANKE. BNO Utrecht hosts its monthly meet-up for the design community; this edition features three inspiring lectures by Max Kisman, Roel Stavorinus and Jeremy Jansen.